Matt is proficient in tax-focused analysis and reporting for corporate entities and individuals alike. He specializes in income tax compliance for Federal, state and local jurisdictions. Matt is also experienced in payroll and sales/use taxes. Matt’s accounting career began in Cincinnati, where he worked as a tax associate for a large regional firm. 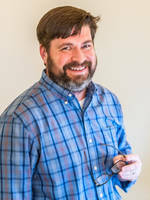 After relocating to his hometown of Lexington, Matt spent several years at another regional firm before working as a tax specialist at Lexmark International, Inc. and Ashland, LLC. Along the way he has developed a strong understanding of financial and tax issues in the healthcare, manufacturing, professional services and ‘Software as a Service’ industries. He has returned to public accounting because he enjoys the personalized interaction and service that public accountants give to their clients.